5 Reasons for Renting Property vs. Buying Around Atlanta? 5 Reasons You Should Be Renting! When the real estate bubble burst, the government put many more restrictions on qualifying for a home loan. Renting property can be a work around for the renter. It is much easier to rent a property than to qualify for a mortgage loan. Employment is also a consideration. Over the past few years, the unemployment numbers around Atlanta have slowly, but steadily declined. If you live in or around Atlanta, Georgia you are on the go, you don’t have time for the upkeep of your home. Leasing or renting a property may seem quite attractive for a millennial or busy sales associate who is constantly active. You should research renting property. There are times when life changes dictate your actions. Your kids move out and you may be looking to downsize. In this case it is a good idea to consider renting vs. buying. If you are relocating, renting a property gives you time to consider all aspects of your circumstances before making the long-term commitment to buy. Renting a home will allow you to be more mobile. An average worker today stays with one company a little over 4 years. Ninety-one percent of Millennials (born between 1985-2000) expect to stay in a job for less than three years. That means they would have 15 – 20 jobs over their of their working lives! Your neighborhood, your employment, even the city or area you live may change. There are plenty of unknowns that go into owning your home. Another factor to consider is the type of home you have. 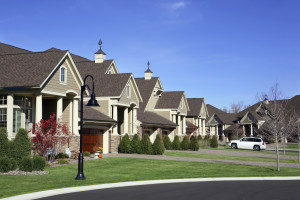 Leasing a property is much easier to vacate than selling a home. Your home may not be a traditional split-level or ranch so, selling it may take you longer than expected. Categories: Property Management Tags: Atlanta, Property Management, Rent vs. Buy, Renting Property, Why Rent?